Well, tomorrow brings another thought. And, yesterday’s tomorrow, is today’s today. I have another thought this morning about how I might respond to the milestone of completing ten years of daily blogging. What if I did it for ten more? That’s another way to look at this interesting opportunity. It has definitely become a comfortable habit that continues to offer me multiple benefits, and occasionally, surprising rewards. Also, by writing about my life every day, I avoid accumulating a build up of some wild idea about someday writing an autobiography. I should try an experiment where I choose a memory from my past which I have already chronicled here years ago, and write a fresh version to compare how different they might come out. Last night, Cyndie and I met our friends, Barb and Mike for a fine dinner out in Red Wing, MN. One of our conversations touched on the fact that memories get reshaped a little each time we recollect them. One way I have been contemplating a recognition of ten years of Relative Something is to mine the archives for a variety of gems from years ago and repost them anew. I’ve also begun seeking possibilities for resurrecting a couple of my old “games.” One involved guessing images from an extreme closeup, and another required readers to conjure their own picture in their minds from a description I write. A day later, I provide the picture I was describing for comparison. Meanwhile, there is no shortage of new stories worth telling happening every day around here. The flooding wasn’t catastrophic for us, but it still caused me more anguish than I care to experience. I think part of that came from the fact that Cyndie was dealing with it alone, while I was so far away at work during the days. The days of rain have passed and the return of below freezing nights has eased the worst of flowing water for now, but there is still a ton of snow yet to melt, so who knows how long this will last. 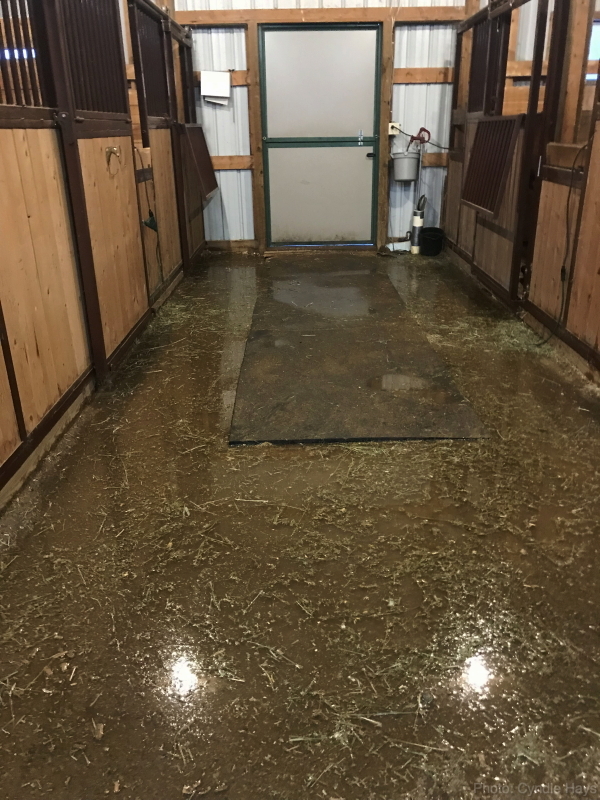 The horses were absolutely heroic in allowing Cyndie to guide them out of the barn through the standing water without panicking over the scary reflections and sounds, of which they have had little exposure in their time with us. They’ve dealt with a lot of mud over the years, but rarely, if ever, been asked to traverse water over their ankles. Man, we are going to miss the horses. There will be much to write about with the pending re-homing of our herd, but it’s hard for us to even think about, let alone put into words. Maybe that contributes to my pondering the idea of ceasing to write. If you know me, that is a pretty unlikely result. Writing is how I best process my thoughts. Here’s to the possibility of ten more years of somethings you might find relative. 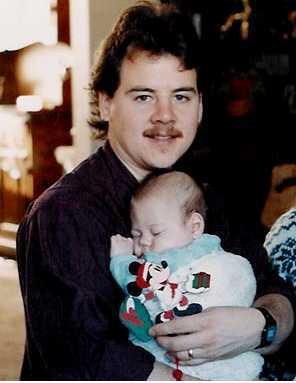 It’s our thirty-seventh this year. 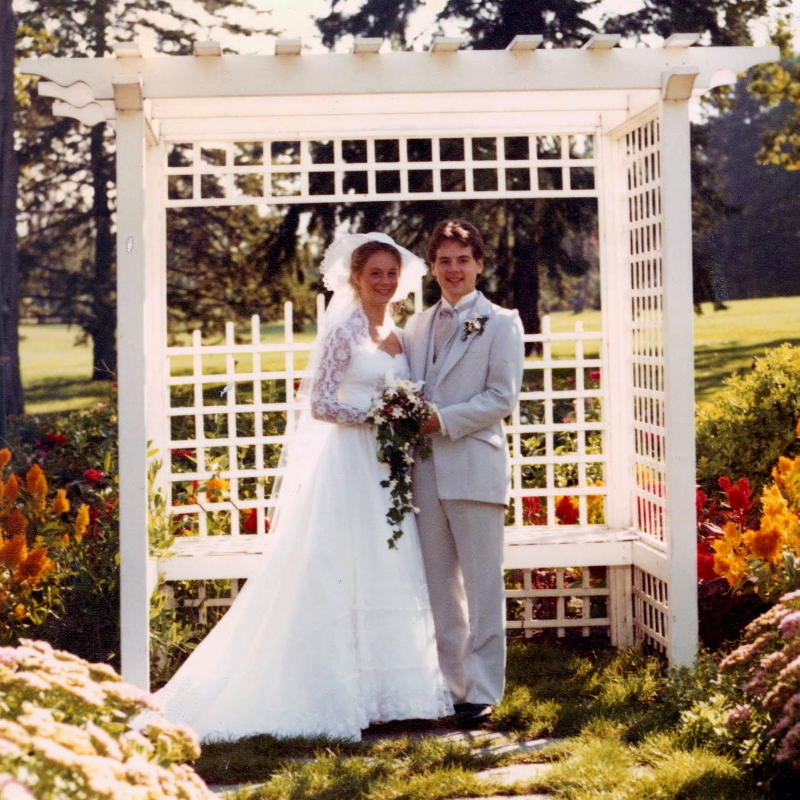 I’ve been writing and posting daily on this blog for over nine years, and every time September 19 comes along, the topic of the day has acknowledged Cyndie’s and my wedding anniversary, and Julian’s birthday. I have an annual habit on September 18th of navigating the “Previous Somethings” drop down feature in the right margin to pick the month of September, and then clicking on the day “19” to read each of my prior interpretations of the occasion. It’s a little repetitive, but at least the number of years changes in each post. I’m not sure what the primary focus of a wedding anniversary is supposed to be. One obvious choice is the ceremony and all that was related to the events of the day. Another logical area for consideration is the milestone of years. 2018 marks the accomplishment of our 37th year. Is the anniversary a time to review all that our relationship has enjoyed or endured over that period of time? On that note, which gets more attention? The best of times or the obstacles hurdled? How about examining ways the relationship has changed over the span of time? I’m pretty sure we know each other better now than we did in the early years. Although, we continue to surprise each other and discover new insights as a function of the changes continually occurring in ourselves year after year. I suppose the most popular detail deserving attention is a revisiting and rekindling of the romance that drew us together in the first place. I fear there may be a few laws of physics that tend to overrule best intentions in that realm. As noted, Cyndie and I have an additional blessing to enhance our celebration of September 19th. This year it involves one of those round numbers that garners extra significance because it ends in zero. At this point in the father-son relationship, I’m thoroughly enjoying how much more like a brother you seem to me. I never imagined I would enjoy my children as adults as much as I do. Counting our many blessings today! Cyndie. This Weekend, it’s all about Cyndie as we celebrate the milestone of her 60th birthday. 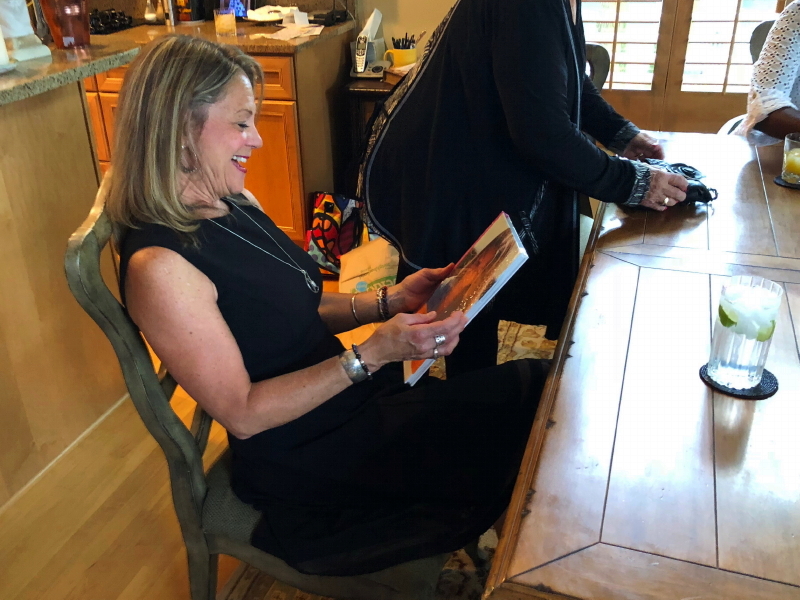 With Jackie tending to animal chores at Wintervale, Cyndie and I are submersed in the loving energy –and I do mean energy– of the Friswold family. We are staying at her parent’s house in Edina, MN, but have twice in a row found our way to downtown Minneapolis. Last night, it was dinner and music at the Dakota, where we ate like royalty and swooned over Shawn Colvin‘s very personal solo guitar song performance. This morning, Cyndie is sleeping in. My brain is busy trying to process the onslaught of activity, memories, and emotions –not to mention distractions of mental and physical preparations for my biking and camping trip that starts on Friday– conspiring to confuse me over whether it’s all about Cyndie, or all about me right now. I had the great pleasure of starting the day yesterday riding bikes with Cyndie’s brother, Ben. He rode over from about a mile away just as a rumble of thunder rolled over us. We took pause inside to watch the radar long enough to see we would have a perfect window of opportunity after a very short wait. The tiny disturbance sliding south of us was just a precursor to the precipitation that would arrive in the middle of the day and hang around for the afternoon. While the sky was watering the earth, more of the Friswold clan gathered for lunch at Jimmy’s restaurant near our old Eden Prairie stomping grounds. After a little nap before heading out for the night, attention turned to a gift brother Barry presented to Cyndie. Her jaw dropped when she saw her younger face on the cover of a memory book of pictures he had spent many loving hours to produce. Just as she finished a first pass through the overwhelming collection of memories the images trigger, we stood to witness Justify run for the triple crown. Then eleven of us headed out for dinner and the concert. With noted local musician and song-a-day YouTuber, Zachary Scot Johnson opening the show for Shawn Colvin, we were treated to a range of guitar-accompanied stories, providing me with a second recent prompt to wonder whether I am still a guitar player, or not. A variety of reasons have combined to allow months to pass without my spending time with fingers on frets. I am inclined to blame my yet-to-be surgically treated arthritic left thumb as the primary culprit for the hiatus, but deep down, I have a sense I may be giving that more credit than is due. 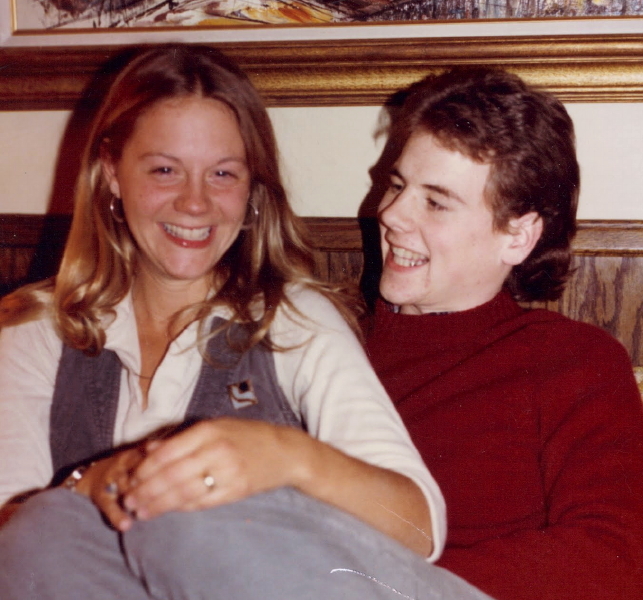 Somehow, while distracted with too many of my own concerns rarely focused on accomplishments, I have been granted the chance to flutter around the bright light that is Cyndie for 44-some years. It makes for a tangled web that isn’t so much all about her or me in the end. It really has become all about us. When I married Cyndie, I officially gained my other mother, Marie. At the time, I had no idea what that was going to be like, but my sense was that it would be good. For the prior seven years when Cyndie and I were dating, I had enjoyed time with her family almost as much as with her alone. Now, thirty-six years later, I can report that my mother-in-law experience has been infinitely better than I could possibly have imagined. Cyndie’s mother, Marie, is celebrating a milestone birthday today. This morning we are gathering for breakfast at a restaurant to honor the occasion. This is particularly fitting, because family breakfasts under Marie’s skillful direction have been a priceless treat over the years. If anyone ever happened to express a preference for something, maybe commenting about how they like their eggs prepared, Marie would notice and remember, serving up a perfect variety of versions every year after to assure everyone always gets what they want. 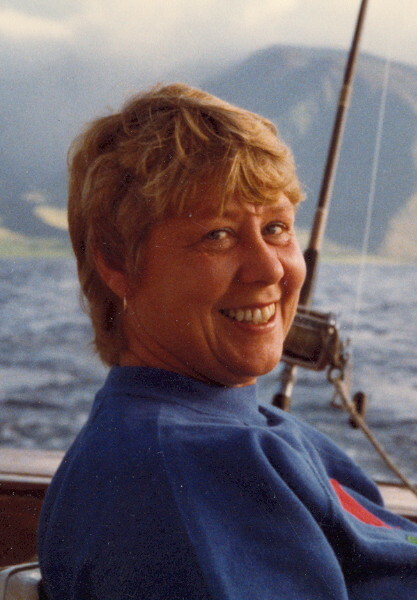 Marie’s balance of being exceptionally adventurous while also nurturing an organized routine of most activities have added depth, and provided stability, to my life as an in-law. We share enough traits to be in sync often, and clash only rarely. Probably best of all for me, Marie has a keen sense of humor. She is ever so gracious in allowing herself be the target of jabs, while also being wily enough to play along with ever-present silliness and get in a few of her own pokes along the way. It’s considered bad manners to reveal a lady’s age, so I will avoid blurting it out in public, but let’s just say it’s a good round number that just might have an 8 in it. Happy Birthday, my other mom. You are terrific!